I recently finished a powerful book called, "Preparation for Death" by St. Alphonsus Liguori. This book is filled with heavenly insight and thoughtful reflections to prepare yourself for the ultimate end that we all face: death. He quotes several saintly men and women and refers quite often to the early Church fathers. His main focus for the book is to prepare his reader for what is bound to happen to all of us. The first several pages speak of the nastiness of death and that each and every one of us will eventually become 'food for worms'(his words). He blatantly states that the room you die in could very well become a place of joy and happiness, where people might dance to a tune and completely forget about you, within a few weeks of your soul leaving your body. Being that I tend to relate all of my subjects and readings to manliness, I thought to myself 'Is it a manly trait to have the looming fear of death upon you?' I think that the answer is a yes and a no. A man must always remember that sooner or later he will die, what he must also remember is that death is not something to be feared, but rather something to be celebrated. In J.R.R. Tolkien's less known work, "The Silmarillion" elves are higher beings, comparative to angels, who are immortal. The elves are envious of the human beings because of the gift of death. “And amid all the splendours of the World, its vast halls and spaces, and its wheeling fires, Ilúvatar chose a place for their habitation in the Deeps of Time and in the midst of the innumerable stars.” The men became envious of the elves for their immortality and the elves envious of men for their ability to die. If mortal men were granted the so called 'gift' of immortality would it really be a gift? Life is a gift to us from our Creator, we are to appreciate it and treat it with respect and dignity, but we are all sojourners in this world. Our home is not of this world. Men who have knowledge of the eternal judgment of God may have a healthy fear of the afterlife, if there is no fear of the very real possibility of hell then there is no sense of sin. Hell is an authentically devilish place, filled with wailing and grinding of teeth, so a fear of spending eternity there is healthy and can help with growth in virtue. Many men today think that in order to 'live life to the fullest' means that a person must live without fear of punishment and have a keen lack of awareness for sin. But if that is what a life well spent is then why are the statistics of depression and suicide much higher in affluent, promiscuous, party-towns? Could it be that because without the thought of death you actually can't live life? Life for most all of us is extremely unpredictable, we never know where we'll be in the next year. Death can serve as that eternal, spiritual reference point, pulling you in closer and closer each day. With a mind set on either eternal salvation or damnation a person is truly able to live their lives by knowing that sooner or later this life will end and he or she will be brought in front of a merciful, but just, Judge. Fear no longer is something that causes our knees to shake, it is now a much less selfish fear, a fear of offending God by ignoring his statutes. So if a man wants to live life to the fullest, he must embrace the thought of death. Just as Jesus embraced his Cross at the beginning of His life, we too can embrace our Eternal Home each day by joyfully embracing our crosses. Knowing and embracing death no longer makes the adventure of the after-life a frightful one. Since we have the knowledge of eternal life with Christ, a virtuous man would be so prepared for death that he would smile and embrace it. 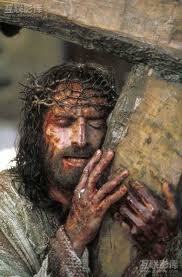 "Death where is thy sting? Oh grave where is thy victory?" -1st Corinthians 15:55. Bl. Miguel Pro is a supreme example of the ability to stare death in the face and cry out to the heavens that Christ is King and therefore I shall not fear the impending adventure of death. I think a healthy dose of realism would be advantageous for most in today's 'hustle and bustle' world of monotonous and readily available entertainment. Death is much more than a cloaked, dark figure holding a sickle, it is the moment in which our eternity is decided upon. So preparation for that moment must be manly. A man wouldn't go into war without training constantly and knowing his enemies and allies. Why would we treat death, which is the last battle we face here on earth, with such disrespect by not preparing? So, gentlemen, man up and prepare for the moment in which you meet your Creator face to face. Learn the philosophy and theology of the after-life. 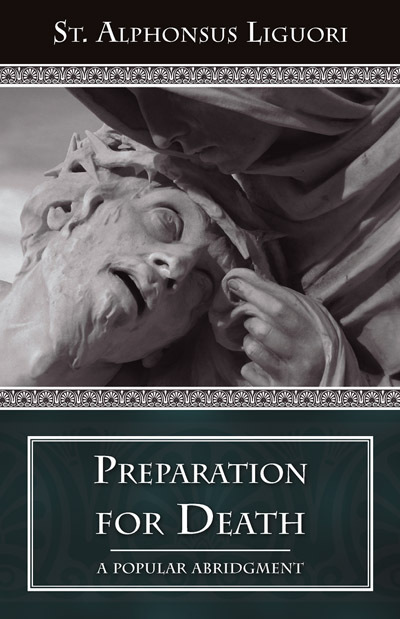 Daily prepare yourself, your family and those in your care with prayer and the Sacraments. The Catholic Church has the tools to send people to heaven, the winning side of death, so let that natural want for competition come forth and be on the winning side of this adventure!